First, there were the posts on social media, saying people were walking through the Abbott Loop neighborhood, jiggling locked car doors. Then, at community council meetings, Patti Higgins started hearing about attempted break-ins and other problems with petty crime. Next thing you know, Higgins was ordering white flashing lights on Amazon and affixing a sign on her mom's old white Subaru Forester that said "Abbott Loop Community Patrol." Now Higgins, the council secretary and former Anchorage School Board member, goes out a few times a month to patrol the area and report suspicious activity to police. Amid a spike in property and violent crime and a barrage of posts in Facebook groups and on Nextdoor.com about suspected crime, community patrols — neighbors who drive around and look out for problems — are suddenly blossoming in Anchorage. Four have started within the past six months alone: Abbott Loop, Sand Lake, Eagle River and the Oceanview/Old Seward area. That's twice the number of traditionally active community patrols, which started in the 1990s and 2000s. Those patrols, with longtime volunteers, have been concentrated in east Anchorage neighborhoods — Nunaka Valley, Mountain View and College Gate. 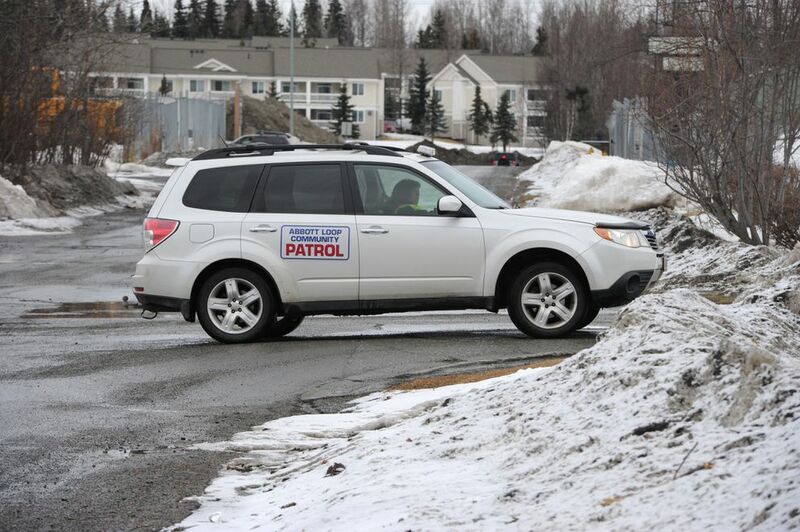 But the new patrols, particularly in South Anchorage, are another sign of worries about crime creeping across town. Interest in patrols has waxed and waned, but it's more likely to be waning, Liz Patrick, a teacher's assistant in an elementary school who has been patrolling College Gate since 2004. "This wax is really interesting," Patrick said. "And we need it." Property crime rates, while lower than peaks seen in the 1970s and early 1990s, have been rising since 2012. The rate of vehicle thefts has been double what it was in 2014, police data show. The state also passed a controversial package of criminal justice reforms known as SB-91, which many new patrol members feel is abetting the crime problem. Meanwhile, the membership of the neighborhood networking app Nextdoor.com has skyrocketed since launching in Anchorage in 2014, making people more attuned to reports from their neighbors of suspicious activity. The brand-new patrollers see themselves as eyes and ears for a busy police department, and a way to ease chronic fears about crime without resorting to vigilantism. Each person who signs up has to pass a background check and go through an interview process, according to rules adopted by the Anchorage Coalition of Community Patrols. The coalition holds meetings the first Friday of every month. It's a fine line: If they come across something, they don't get involved. They call 911. Other, less-structured community groups that have cropped up in the past year, like the "A-Team," which helps track down stolen cars. Justin Doll, the Anchorage police chief, said he's supportive of citizen efforts to share information to locate stolen property and identify suspects for police. It's the latest in a history of active community patrols, and typical of Alaskans, he said. "If there's a problem, people want to pitch in and help solve it," Doll said. "In my mind, that's a very Alaskan response to be willing to be part of the solution." He said it's been "tremendously useful" to have the information from patrols feeding to the police department. The main caution, he said, is against groups getting actively involved in a crime scene. It's a line Higgins and the other new patrolers will now be navigating. Early on Thursday afternoon, Higgins put on a neon-yellow vest and climbed into a white Subaru labeled "Abbott Loop Community Patrol." She called the Anchorage Police Department's non-emergency line to tell a dispatcher she was going out on patrol. Then she headed out into the neighborhood, which runs east from the Seward Highway between Dowling and O'Malley Roads. There are big-box stores and small businesses, an industrial quarter, a mobile home court, residential subdivisions and parkland. This was Higgins' fourth time patrolling. She drove to a park divided by Little Campbell Creek, with benches and pullouts. She pulled up, parked the car and read aloud a message she received on Nextdoor.com. "Check Meadow Park at 67th and Meadow. There are normally lines of cars at the park waiting. It's really annoying," Higgins read from the message. "Definitely drugs, sometimes seems like prostitution." She looked around. At the moment, her Subaru was the only car in sight. "This must be a down time for drug-dealing," Higgins said. In her patrols so far, Higgins has yet to call in a crime that led to an arrest. But she said she had seen a lot of concerned or even angry posts on Nextdoor, with some neighbors threatening to hurt burglars or thieves. She said she hoped that by going to places people pointed out, it could have a calming effect. 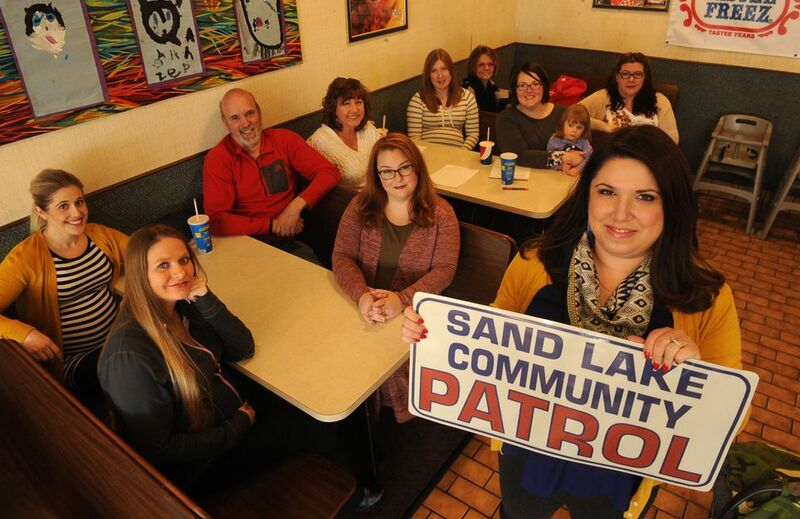 In the Sand Lake area, at the southern edge of West Anchorage, several dozen people have signed up for a brand-new community patrol. About 10 are moms. One of them is Nikki Rose, the community council president. She has a 4-year-old son. Rose said her son is why she's doing the patrol, she said. She was raised in Sand Lake and remembers going off with friends and biking around the neighborhood. She's too worried to let her son do that now. She recalled a tense community council meeting about two years ago, where neighbors turned up to talk about items stolen out of yards and about finding drug paraphernalia in parks. When Rose became council president, she heard from Glen Yancha, who started South Anchorage's first community patrol in the Bayshore area in December 2016. Yancha offered her training, and she took him up on it. Now people are patrolling the Sand Lake area every night of the week, Rose said. Yancha works two full-time jobs and patrols less than he used to, he said. But he believes they make a difference. 'Where would I go if I was a criminal? In the Bayshore area, one patrol member stopped by a vehicle that was on the side of the road, Yancha said. It turned out the person behind the wheel was driving drunk and didn't have permission to take the car, he said. APD ended up arresting the person, Yancha said. Yancha said he's excited about getting patrols in new areas. "They do cover a lot of area for South Anchorage," Yancha said. Yancha also helped start the patrol in Abbott Loop, and in Eagle River, which launched in November 2017. The patrol expands the area covered by the Birchwood Community Patrol, which has existed for about a decade. 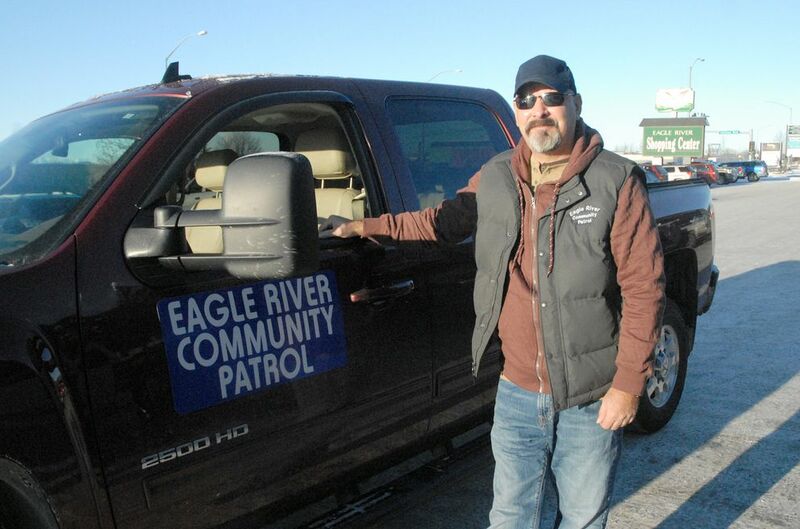 At first, the Eagle River patrol consisted just of Cliff Cook, a retired member of the U.S. Air Force. But its membership has steadily grown. 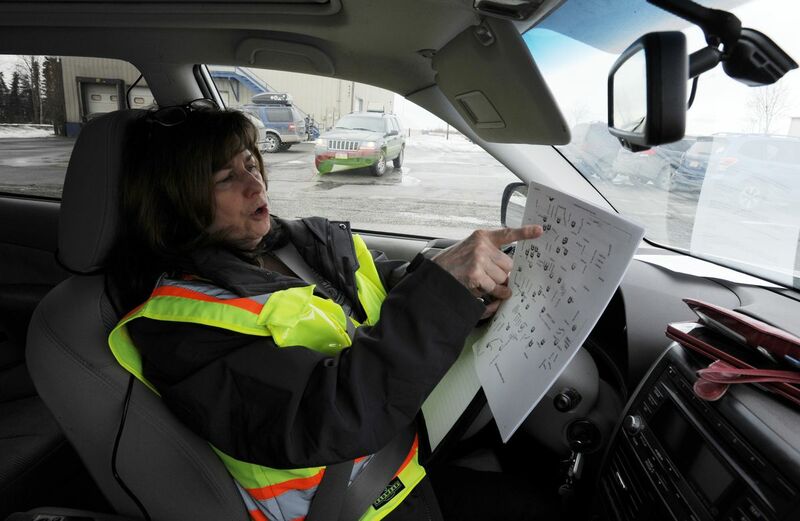 So far this winter, this patrollers have driven more than 3,000 miles, volunteering more than 300 hours, Cook said. Mostly, the work has involved helping cars that slid off icy roads, and giving people a heads-up that they left their garage doors open. But Cook said he and other patrolers have called police about "walkers," or people checking for unlocked car doors in parking lots. Cook said social media has shone a bright spotlight on crime. He himself hasn't been the victim of a crime since he forgot to lock his car in 2003 and someone stole his phone out of it. But he doesn't think the sense of insecurity is just in Eagle River. "There's probably still pockets of the small town feel (in Alaska), where you still don't lock your house or car," Cook said. "But I think it's slowly dwindling." Other community councils have been discussing the idea of patrols, the latest being the Government Hill Community Council. Doll, the police chief, said his department's community policing team can come talk to emerging groups about how to work with police. While there has been a surge in enthusiasm for the patrols, money is tight. The Alaska Legislature used to regularly give grants to the patrols, but that's since dried up. There's talk of all the patrols pushing as a group to renew the funding. Cook is working toward becoming a nonprofit, like the neighboring and longer-standing Birchwood Community Patrol. For now, his patrol is accepting donations through the Federation of Community Councils. Other patrols are fundraising and talking to businesses about sponsorships. One business donated fluorescent paint so Higgin's sign would show up at night. She doesn't plan on being reimbursed the $70 for the light for her car. When Higgins was running for School Board, she walked every part of the neighborhood, knocking on doors. She looks at it a different way while she's patrolling, she said. "Now it's like, oh, where would I go if I was a criminal?" she said. A previous version of this story misstated Patti Higgins' position with the Abbott Loop Community Council. She is the secretary, not the president.